Another quick project for you to make and another free dxf file for you to download. This free dxf is the wood rocking chair jigsaw puzzle. feel free to download it below but if you change it or make something cool with it please drop me a line because i am always interested in what people make from my models. Here in the image below is the model that i had drawn in 3d in the badog cad interface. This allows me to see the rocking chair wood puzzle before i cut it out. It also helpe line up the plates and decide how to position the pieces so that there is not much wasted wood after i cut. A good starting project for a CNC router hobbyist is making the board for a game. Or more precisely making a checker board. There are a couple basic games that are good for this project and each of them is an excellent way to familiarize yourself with your machine and its capabilities. Checkerboards are a particularly simple type of board to make and this article will go over a few different types of boards that you can choose from for one of your first starting projects. I was looking through the internet for Free DXF plans and free DXF files for woodworking plans and found that it is easier to make my own from existing models that I have seen in real. 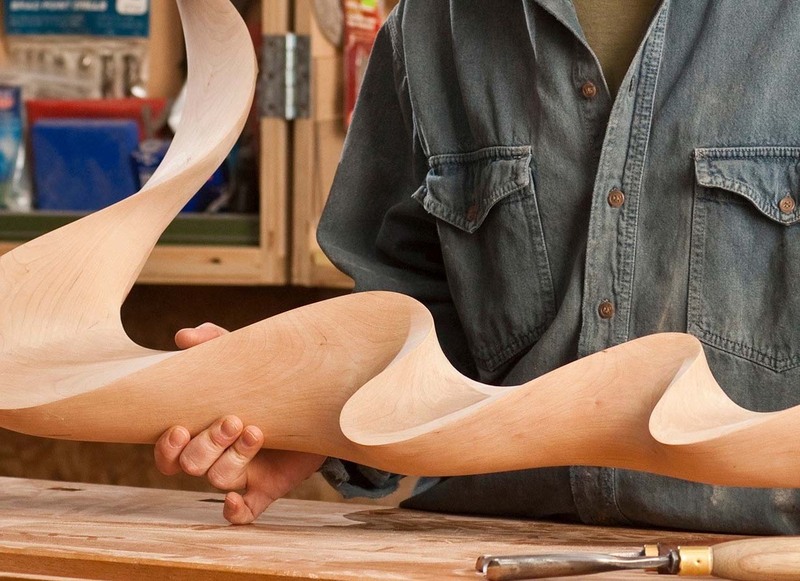 The problem with the internet is that everyone says their woodworking plans are free but when you get to their page it seem you will have to buy something in order to get them. Well welcome to my free resources for hobby woodworkers and Free DXF plans that I have made myself for puzzles and wood crafts. Today I’m sharing my lawn chair which is a symbol of what I would rather be doing instead of working 😉 here it goes. Like I said I skewered the internet for models but ended up looking for pictures of lawn chairs that I could copy easily. 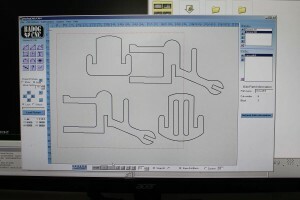 I then reworked them in my Badog cnc software in order to make the following pictures for you to follow along. Every machinist knows that different kinds of the material have various cuts and applications. Not all plastics are the same, not all metals are the same and so forth. This applies to any type of material, including wood. Wood is one of the most common materials. Especially for hobbyists since most at-home CNC machines are CNC routers, which are generally used for woodworking more than anything else. Woods can be broken down into three major groups. Softwood, hardwood and man-made wood. 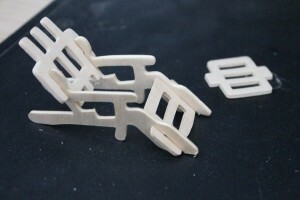 This is the 4th model I have made this month and in staying with my dollhouse furniture theme I thought that I would make quickly a simple chair with the least amount of pieces(dxf 2d puzzle). With my Badog CNC i could actually do this in 3d but i enjoy wood jigsaw puzzles and 2d-puzzle more and i feel that they have a certain feel that is warmer and educational. The chair started as usual with a small sketch then we imported it into the Badog cad software interface to quickly vectorize it by tracing the lines from what i had drawn. Here is a shot of the interface of the software.